Dalton ID Systems: World Leaders in Marine Research, Wildlife and Lifestock Identification Systems. The first Company to Produce & Patent Two-piece, Self-piercing Plastic Eartags for Animal Identification. Dalton products combine modern technology with basic common sense. Before any Dalton product is released onto the market an extensive development programme has been concluded, which can take several years! Users and professionals are consulted to discover their particular demands of the system in question and laboratory and field tests carried out. Dalton customers agree that the professional modern structure of Dalton´s combined with “good old-fashioned” person-to-person service is not equalled anywhere else in the identification industry. Daltons have been working on a range of products which combine modern technology with basic common sense. Established in 1947 Dalton were the first company in the world to patent and produce plastic self piercing livestock tags. It's a fact! Nobody makes tags like us... and nobody produces the wide range of shapes, sizes and styles that we do. Making systems for Livestock, wildlife and Marine Research we combine modern technology with basic common sense. Earrings for humans are not worn for a lifetime without removal and yet you choose the design and quality known to avoid infection and stay looking good. The same consideration should be used when choosing the right tag for your livestock or research project. Eartags may appear to be simple pieces of plastic or metal but they´re the result of many years of research and development and are made from the highest quality plastics with additives to enhance colour, resist Microbial attack and inhibit UV fading or degradation. What's in a name: The company is named after John Dalton (September 6, 1766–July 27, 1844) the renowned British chemist and physicist, born at Eaglesfield, near Cockermouth in Cumberland who was not only a prominent scientist but well known philanthropist who set ethics and morals above profit and advancement as we do today. A Reliable Tag with a proven track record, low loss rate and a known brand name. A Company You Can Trust with a history of over 50 years service to farming. Good Advice from a helpline team with years of experience. 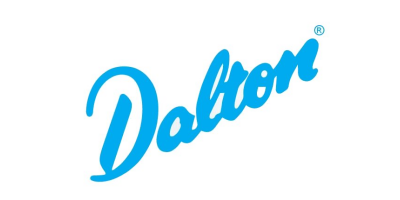 In a recent survey 98% of customers said they would recommend Dalton to other people. The company takes the quality of it’s products very seriously and ensures that it’s service and delivery promises are never compromised. While livestock identification systems for disease control, traceability and meat assurance are the company’s main business it remains also a world leader in producing systems for wildlife and marine research. With Dalton products you really do “get what you pay for”, they may not always be the cheapest but in the long run will always be the most cost effective. Dalton have for many years produced a range of identification products especially for the research industry. Some, initially bespoke, later have become stock items. Products such as the Minitag, Integri-Tag, Superflexitag and Seal hat are products unique to research but many other Dalton tags are frequently used for marine and wildlife tracking and management programs. Jumbotags & Rototags are commonly used in the world´s oceans to tag Shark, Seal, Sea Lion, Tuna Fish and Turtles. Indeed, Jumbotags have been reported as recovered 30 years after application. Dalton tags are also used in other extreme environments as diverse as Antarctica and the deserts of Africa. Polar Bears, Brown Bears & Black Bears, Koala Bears, African Wild Dogs, Buffalo and Bison are just some of those applications involved. In 1999 it was reported that a printed Dalton Jumbotag was found in the stomach contents of an eight meter Boa Constrictor in South America.